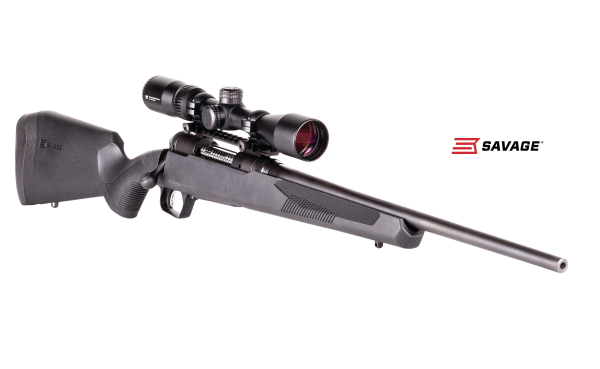 WESTFIELD, Massachusetts – – Savage is proud to introduce the 110 Apex Hunter XP, which pairs a Model 110 rifle with a 3-9x40mm Vortex Crossfire II scope that comes mounted, bore-sighted and ready to hunt. Shipments of these firearms have been delivered to dealers. The available model list also includes the 110 APEX Hunter XP in left-hand and Muddy Girl Camo options, plus the 110 APEX Storm XP which is the stainless steel receiver and barrel option.